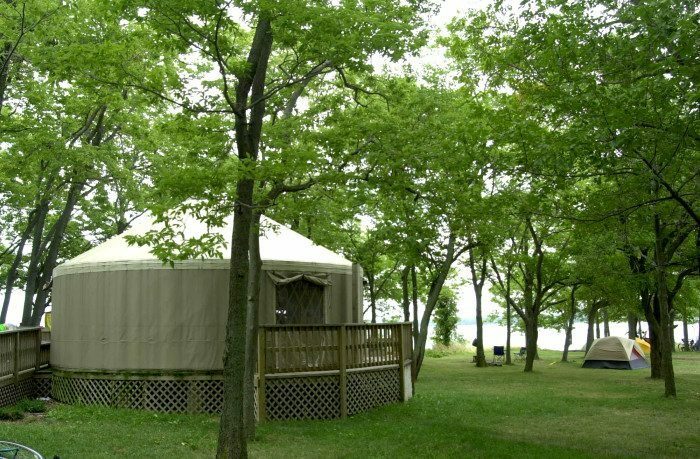 In addition to the traditional camping options, Kelleys Island State Park features two yurts that sleep up to six. 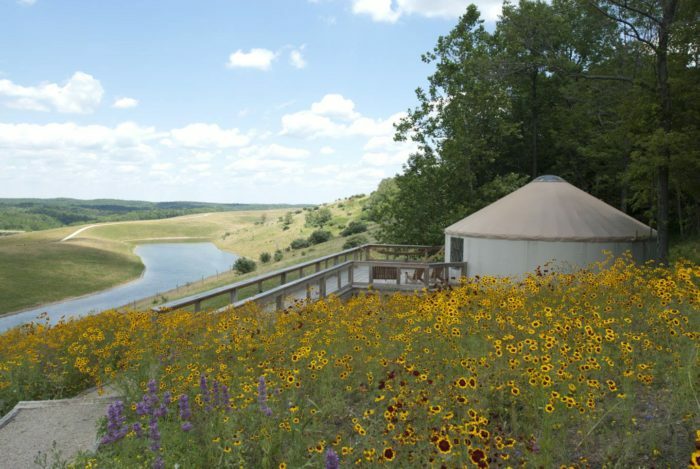 Each yurt features an efficiency kitchen, private bathroom with shower and a furnished living/dining area. 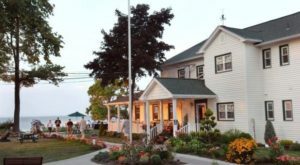 Kelleys Island State Park is located at 920 Division St., Kelleys Island, OH 43438. 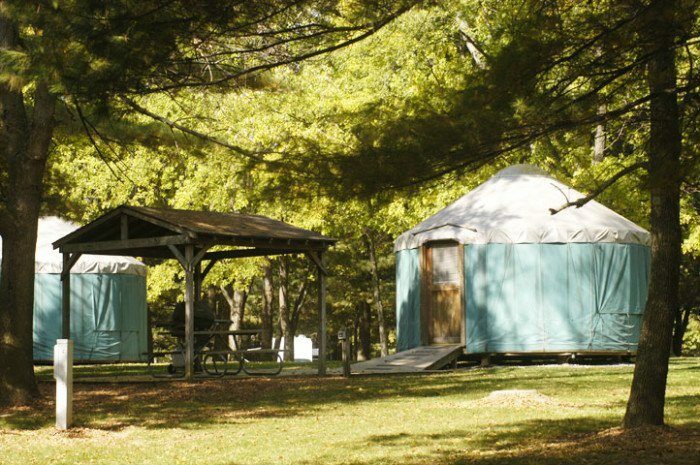 Three yurts are available to rent at Delaware State Park in April-October. 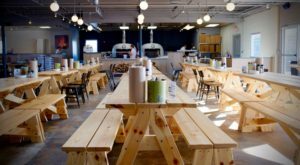 Each yurt features futon beds, a table and chairs, a cooler, ceiling fan, outdoor charcoal grill and a picnic table with a canopy. 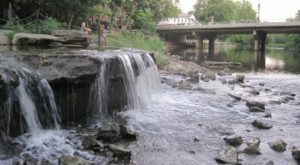 Delaware State Park is located at 5202 US Highway 23 N., Delaware, OH 43015. Experience glamping at its finest on the grounds of Ohio's own safari. This luxurious private yurt features running water, Asian-inspired decor and a personal deck next the Wilds’ animal pasture areas. 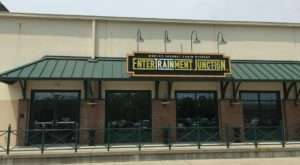 The Wilds is located at 14000 International Rd., Cumberland, OH 43732. Harrison Lake State Park has two yurts you can rent from May-October. They each feature two futon beds, a ceiling fan, a mini refrigerator and an outdoor grill and sheltered picnic table. Harrison Lake State Park is located at 26246 Harrison Lake Rd. Fayette, OH 43521. Hueston Woods State Park features a yurt complete with electric, heat, a refrigerator, TV and outdoor grill. 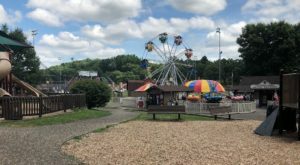 The park is located at 6301 Park Office Rd., College Corner, OH 45003. This gorgeous inn near Hocking Hills State Park also features yurt accommodations. Each yurt features a full bathroom and a king size bed or two twin beds. 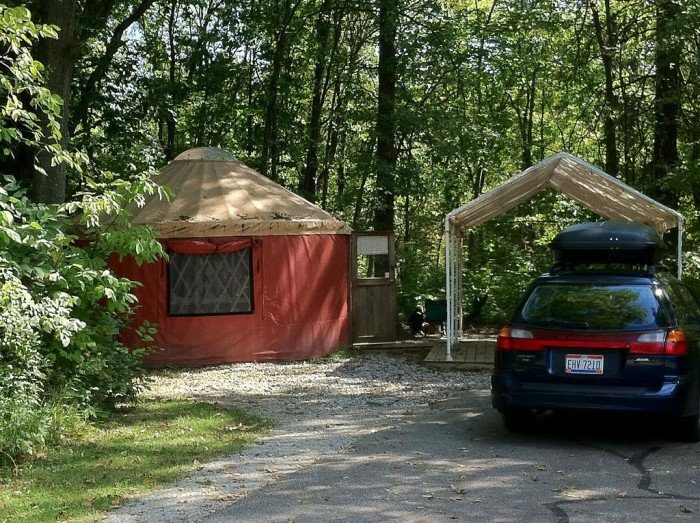 You'll find these yurts at 21190 State Route 374, Logan, Ohio 43138. 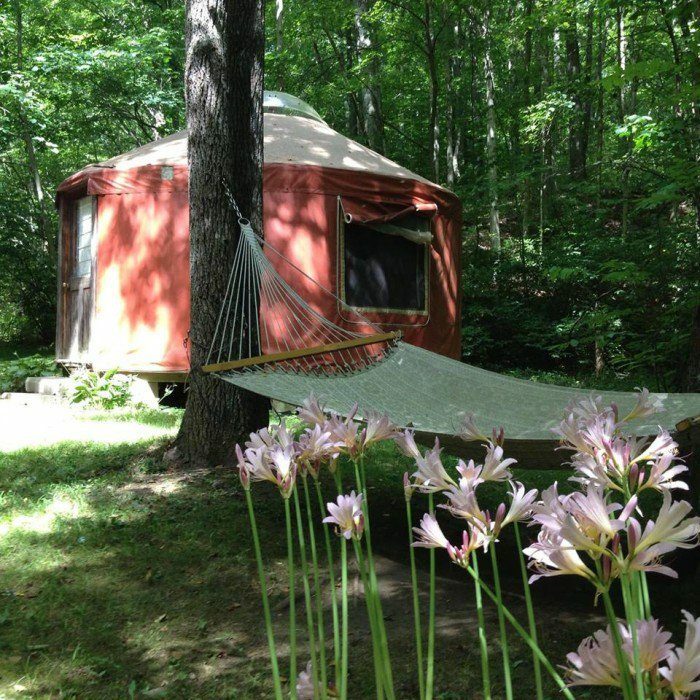 Also within the Hocking Hills area, Salt Creek Retreats features one yurt that can comfortably sleep up to five. It features bunk beds, a futon, a sun dome, a propane heater for winter use (October-April) and a solar shower (for summer use only.) 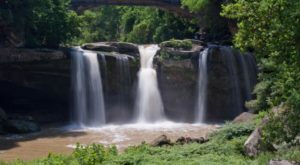 Outside amenities include a large rock patio, a fire ring, a hammock, an outhouse, charcoal grill and a covered picnic table. 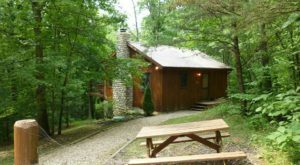 Salt Creek Retreats is located at 17549 Crawford Rd., Laurelville, OH 43135. 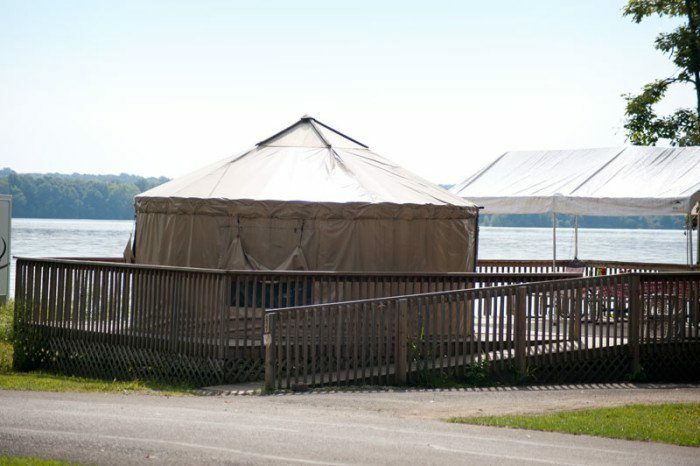 Mosquito Lake State Park offers two yurts available for rent from April 1 to October 31. Each features a large wooden deck with a view of the lake, two futon bunk beds, a small refrigerator, microwave, small table and an outdoor grill and picnic table. 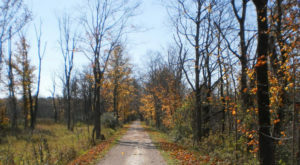 Mosquito Lake State Park is located at 1439 State Route 305, Cortland, OH 44410. 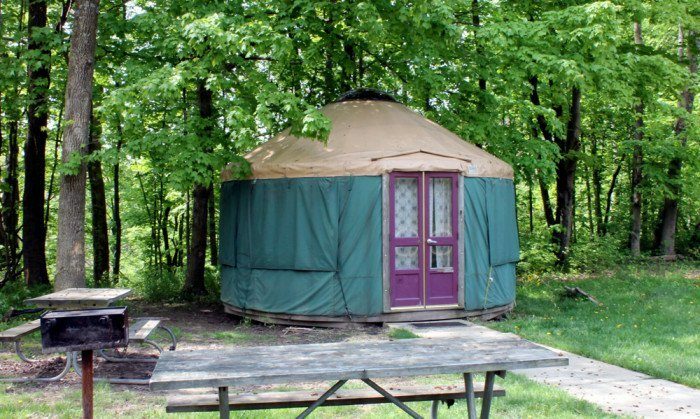 Have you ever stayed in any of these yurts before? If so, we want to know what your experience was like! For more unique camping ideas in Ohio check out our previous article: Few People Know About These Unexpectedly Awesome Tree Houses In Ohio Amish Country.